क्रिस्मस टिंकर बेल. क्रिस्मस टिंकर बेल. 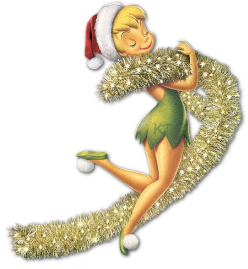 Wallpaper and background images in the टिंकर बेल club tagged: tinkerbell christmas tinkerbell tink disney christmas disney. I AM द्वारा INFINITY AND BEYOND TINKERBELL'S ABSOLUTE BIGGEST EVER NUMBER 1 FAN!!! NO MATTER WHAT!!!!!! AH! ME AND MOLLYTINKS1FAN ARE THE BIGGEST TINK प्रशंसकों आप CAN POSSIBLY EVER FIND!!!!!!!!!!!!! HI! I AM TINKERBELL'S BIGGEST EVER प्रशंसक NO MATTER WHAT!!!!!!!!!!!!!!!!!!!!!!!!!!!!!!!!!!!!!!!!!!!!!!! I AM द्वारा INFINITY AND BEYOND TINKERBELL'S #1 BIGGEST EVER प्रशंसक AS ALWAYS AND 4 EVER!!! NO MATTER WHAT!